Today is a special day. Beth Cato, talented writer of the Clockwork Dagger series and fellow Harper Voyager author, is paying us a visit. Read her post, and check out her work (Many steampunk! Very wow!). The good news is that Harper Impulse Voyager sent me a contract to write a novella in my Clockwork Dagger steampunk fantasy world. Yay! The bad news is that I had never written a novella before, so I was rather freaked out about the whole thing. Novellas tend to be 17,500-40,000 words long. There are very few magazines that accept stories of that length, so it’s a format that I avoided because it’s so hard to market (though that is starting to change). Like most writers, I tend to have my comfort zones for word counts; my stories tend to be around 1,000 or 4,000 or 6,000 words, and my novels tend to hit at about 90,000. Novellas are out in some wasteland. But more good news: I wrote the novella, and it’s out as of November 10th! “Wings of Sorrow and Bone” features two teenage girls setting out to save a laboratory full of gremlins from a politically-powerful scientist. Here’s how I survived going from zero to 27,000 words of published text. 1) I sent up the Bat Signal to call in friends who had written novellas. – think like a novel cut into a 1/3. I actually pulled out some of my novel outlines to see how long they were to get a sense of how I usually work. 2) I outlined my novella. There is a constant debate in the writing community about if plotting or writing-by-the-seat-of-your-pants is best. As far as I’m concerned, there shouldn’t be a debate. A writer should find out what works for them, and that might change by the project. Following that advice to think of it like a short novel, I did my usual “plot vomit” where I write out everything I want to throw in the story. It was a big mess but from there I could fill in gaps and break it into chapters. 3) I wrote and rewrote. Since I hadn’t done a novella before, I fumbled a lot through the process. I ended up adding a new chapter when I revised, and I had to rewrite another full chapter on my editor’s advice. I had great feedback from critique partners, too–some of those same people who gave me initial advice on writing novellas. 4) I continued to read more novellas as I worked on mine. – How much time did they spend setting up the world at the beginning? – How many characters did they use? – At what point did the climax hit? – How long did it take to resolve things afterward? It was like returning to my college English 1B class, but a lot more useful and enjoyable. 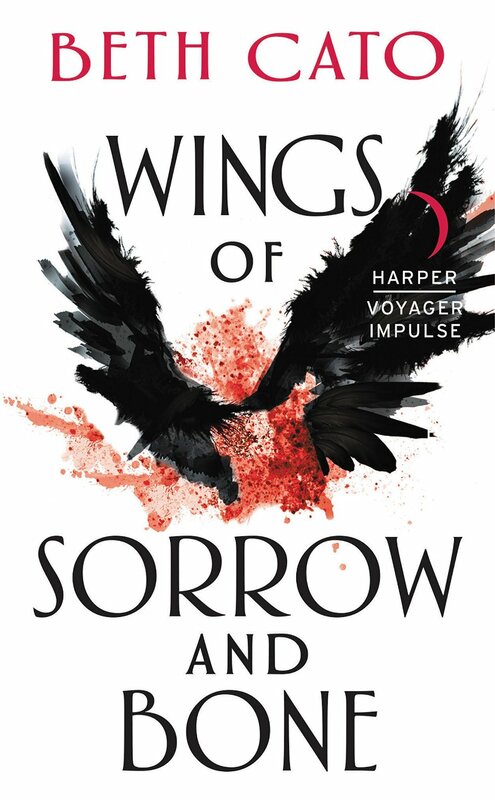 The good news: “Wings of Sorrow and Bone” received a passing grade from my editor. I’m pretty happy with the end result, too. I can say I’ve published a novella now… and who knows? I just might write another one.